Pain in the stomach is a very common complaint that bothers people of all age groups. It is also the most common complaint that prompts hospital visits among people. In most of the cases it can just be a mere food poisoning, irregular bowel habits, less intake of water and so on, but can also be a case of APPENDICITIS. 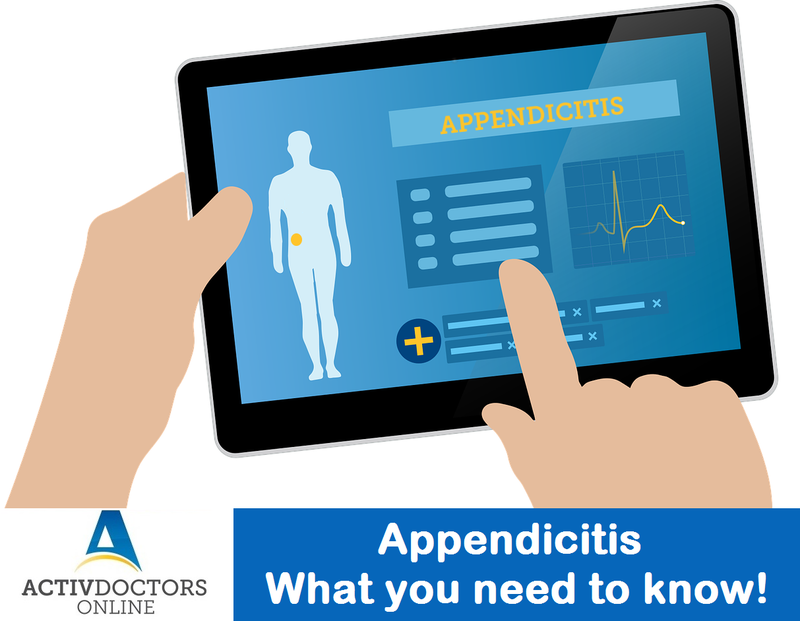 What is Appendicitis? Appendicitis is the inflammation of the Appendix, a small finger like projection from the large intestine on the right lower part of the abdomen. What causes Appendicitis? Appendicitis is caused when the appendix gets blocked by stools, foreign body, or infections. Blockage of appendix results in swelling and triggers an inflammation within the body leading to pain. How is Appendicitis diagnosed? Most of the times Appendicitis can be diagnosed based on the symptoms. But to establish the severity and confirm the diagnosis Ultrasound is usually performed. Is Appendicitis dangerous? Appendicitis as such is not a serious condition. However, when an abscess is developed around the inflamed appendix due to the severity of the condition, it is a fatal condition. Appendicitis is easily treatable when taken care of appropriately, the appendix is a rudimentary organ which means its absence is not going to alter our body functions. Always consult a Doctor when in doubt – be more than well, be well prepared.